It’s a good time to be a horror fan. Gone are the days of movies following the same old formula. We want more, and filmmakers are ready to give us new ideas. Groundbreaking hits like Get Out and A Quiet Place are helping horror surge at the box office by combining scares, interesting twists and pointed social commentary. Now Hereditary is the newest film to put its own spin on the genre. The film is Ari Aster’s feature directorial debut. 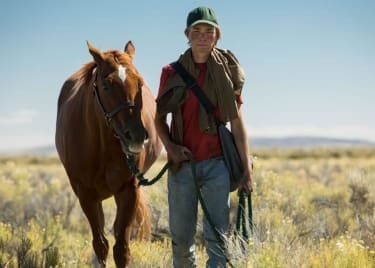 The film focuses on Annie Graham (Toni Collette), her husband Steve (Gabriel Bryne), and their kids Peter (Alex Wolff) and Charlie (Milly Shapiro). After Annie’s mother Ellen dies, strange and unexplained events begin to happen. 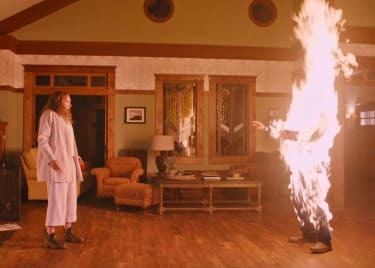 No spoilers, but here’s how Hereditary works its horror magic on some experiences common to everyone. Losing a loved one is a terrifying situation. There’s always grief of some sort. While Annie never had a good relationship with her abusive mother, her daughter Charlie did have a close connection to her grandmother, so that loss affects them both in significant but different ways. Each character has own coping mechanism after Ellen’s death. Annie struggles with her loss, and the guilt she feels because of her stunted relationship with her mom. She joins a support group; there she meets a woman (Ann Dowd) who suggests seances to reach out to Ellen’s spirit. Because Ellen had an interest in spiritualism, Annie goes for it. Meanwhile, Peter reacts like a typical teenager, maybe moodier but nothing out of the ordinary. The same can’t be said for Charlie. The youngest member of the family is already considered peculiar, and soon her behavior takes a bizarre turn. Grief changes something in Charlie, and things become dangerous. It’s clear that an outside threat isn’t what makes everything take a dark turn in the Graham house. Just see the title, Hereditary. Maybe a darkness inside them has been passed down through generations. Their demons seem to be awakened after Ellen’s death. Worse, they appear to be using the children, especially Charlie, as pawns. It’s up to Annie and Steve to keep the family together, but that seems beyond their control. Their loss may some of the family together, but other forces are ready to pull them apart. Coping with her mother’s death, Toni Collette’s Annie rides an emotional roller coaster. Annie is an artist who works in miniature, creating tiny figures and scale models. From the looks of the trailer, the models blur the line between reality and her work; the camera also puts the cast right into the models at times. Annie tries to bury her pain in work, but it eventually boils over. 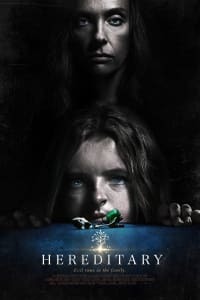 Early reviews of Hereditary call this the scariest film of the year, with some even comparing it to The Exorcist. While the film features familiar tactics, such as jump scares and well-placed sound effects, the real fear factor is the story’s sense of emotional terror. Scenarios will have fans fidgeting uncomfortably in their seats as the Graham family learns more about what they’re really facing. Equally terrifying and thought-provoking, the Graham’s deep secrets are screaming to be let out. Their story will stay with us long after we leave the theater.